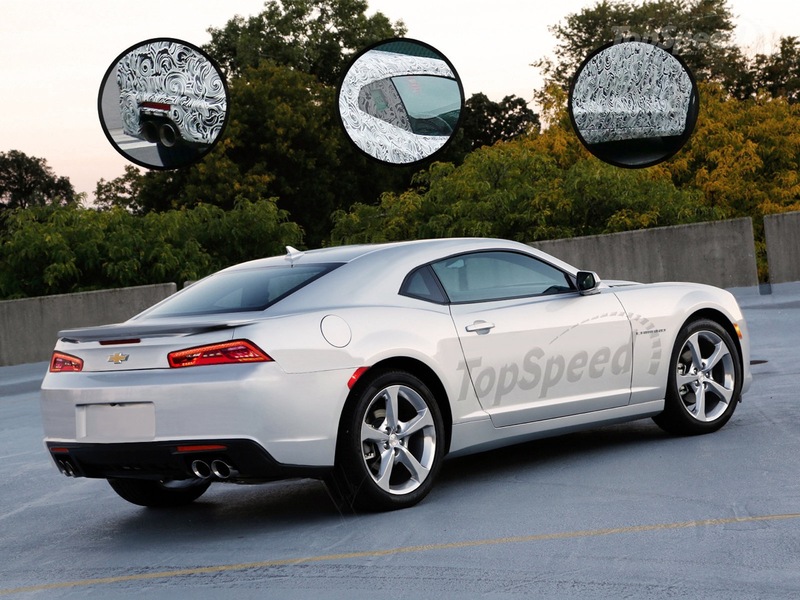 As the spy shots and videos continue to trickle into GM Authority‘s offices, we are beginning to get a slight idea of what the 2016 Camaro is going to look like. Thanks to the renderings by the folks at Top Speed, we’re one step closer. We’ve seen test mules running around metro Detroit and while the Camaro doesn’t look drastically different, the proportions are better, the shape is cleaner, and that small-block exhaust note is present and accounted for. Hence, if you were hoping for a new Camaro that copped themes from other-generation Camaros, you may be disappointed to see the 1967-69 influence will continue, no doubt due to the current Camaro’s sale success (and first-place standing in the ponycar market). 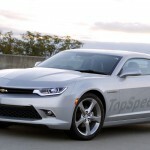 Otherwise, we already know the 2016 Camaro will ride on GM’s stellar Alpha platform, whose mettle has already been proven with the Cadillac ATS and CTS. 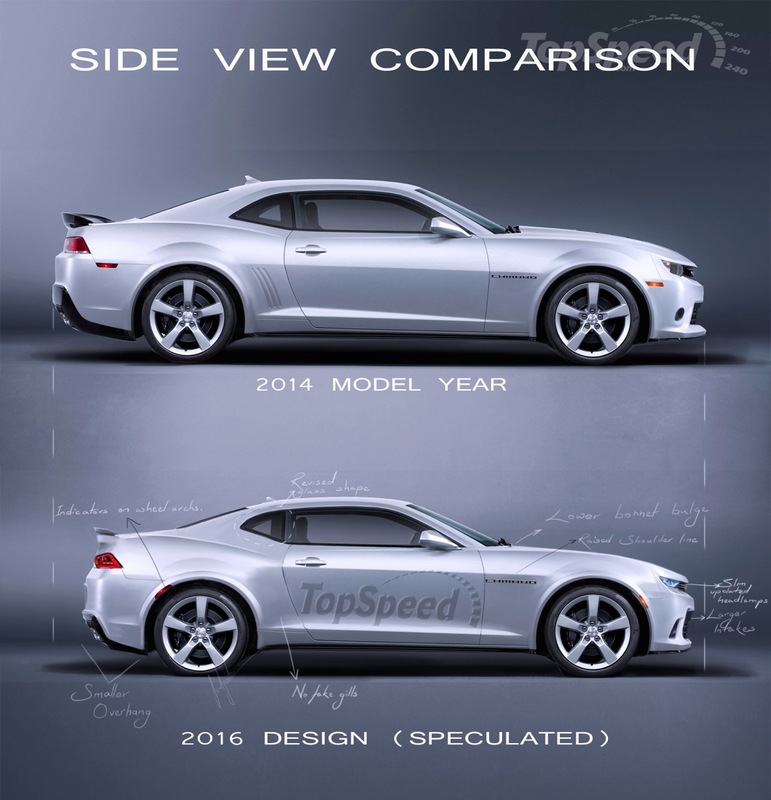 In this case, the 2016 Camaro will share a wheelbase with the Cadillac CTS, while all three will be built in Lansing, Michigan. 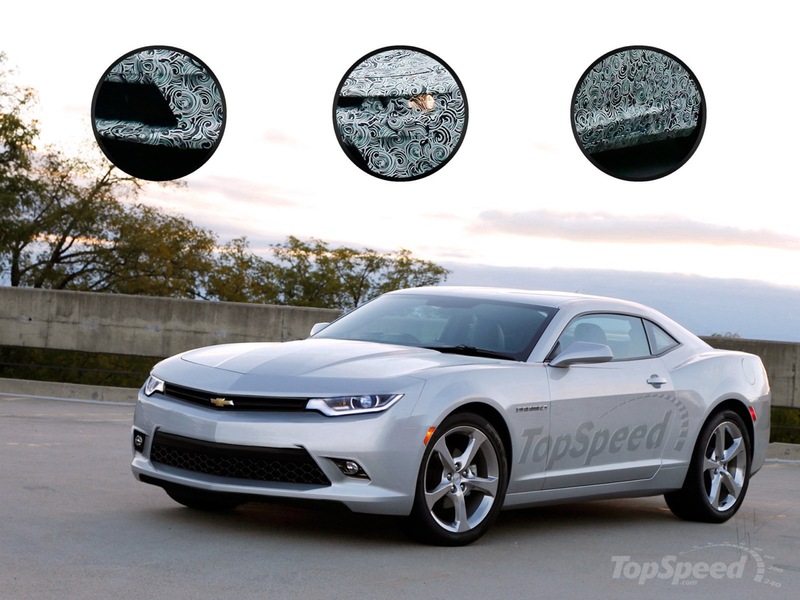 With the Alpha platform, the 2016 Camaro will become lighter, sleeker and more dynamic. And considering how high the bar has been raised with the 2015 Ford Mustang, the 2016 Camaro will have to do everything it can to stand out from a driving standpoint. 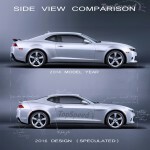 But with what we’ve seen from the fifth-generation family in track stars such as the Camaro Z/28 and Camaro SS 1LE, we have complete faith in this. 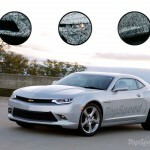 The interior of the current Camaro harkens back to 1969, but considering the 2015 Mustang’s upgraded interior, it’s likely that Chevrolet will invest in better quality appointments. Under the hood, we wonder if Chevrolet will offer a competitor to Ford’s 2.3L EcoBoost turbo-four? Already Cadillac is using a 272-horse 2.0L turbo-four that propels the ATS to 60 mph in 5.7 seconds, so why not? The 323-horse 3.6L V6 could be the mid-range engine at launch, but there is a new V6 around the corner to replace it. As for the V8, there’s the mighty 6.2L pushrod LT1, which first debuted in the 2014 Corvette Stingray. Transmissions are anticipated to be a seven-speed manual and an eight-speed automatic transmission. 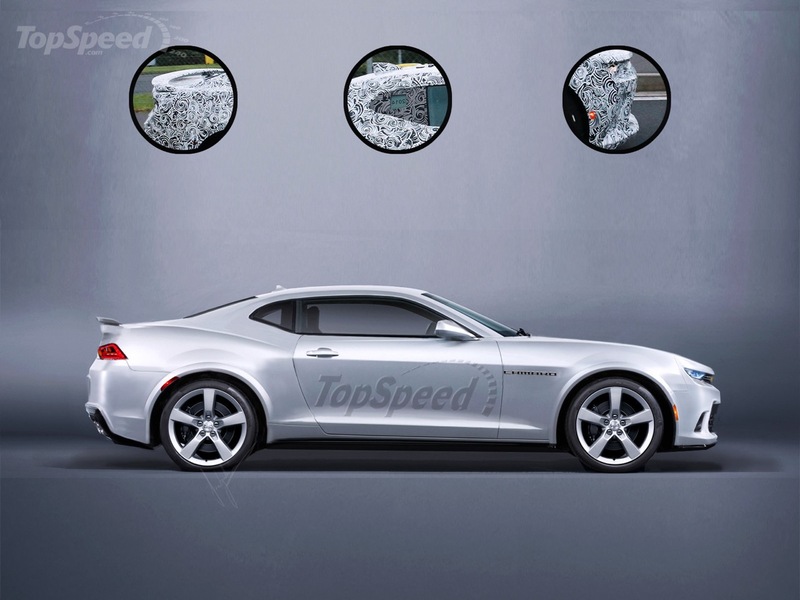 Top Speed created a series of renderings based on camouflaged spy photos − what do you think? While the overall them of the car will remain similar to first sight the devils going to be in the details. While they have the basics the details are not here yet. The headlamps are not production nor are the tail lamps. Also missing here is the size and that it will be a lower car. It will be a much more pleasant car to drive. Do expect a revolution on the interior. That is what needed fixed the most and even the Camaro team agreed on that. Things like hood louvers even a small quarter scoop are all things that can appear once the camo is gone. 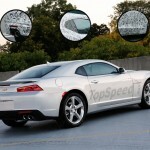 GM is not going to mess this one up over night but this will be a transitional styling much like the Mustang is. Details will give way to new ways of thinking and a new design is the future. There will be more chamges than the car shown here, nobody wants a smaller version of the previous car. It will have its own identity. Improved rear visibility. Combined with blind spot detection and sudden stop detection, this actually could be a good daily driver. I agree. While I was hoping for a little more 2nd Gen looks, I could definitely warm up to the subtle improvements to the 5th Gen styling shown in the rendering. Hopefully GM has addressed the visibility issues associated with the previous generation. If this car does come equipped with an LT1 mated to an 8 speed automatic I will be trading my C6 Corvette in for one. I like the comparison photo I can see a lot of the ATS in the rendering. Since the 2015 mustang isn’t revolutionary either I can deal with the Camaro just smoothing out an already good looking car. I like the new mustang a lot better than the previous models although not much has changed exterior wise. As long as they got a sleek looking car that looks mean and performs better than the new mustang we will have a great car. I like what the Camaro team has done with the car dealing with the weight of the chassis, they made a great car and I look forward how they do it this time coming around. Story got it wrong. It has longer wheelbase. It’s based on CTS’s Alpha not ATS. Let the mustang people catch hell for having a four cylinder version. Hopefully GM is above making a stupid decision like that. I can see by your comments you have not spent any time in a modern DI Turbo. The only two things the engine lacks is the V8 sound as you can not get the 4 to sound as good and the $50K price of a loaded SS. The Turbo 4 would give a great lower price performance model and could very well displace the V6 in sales once more people drive one. The Torque Curve is better than any other engine and even driven hard it would still see well into the 20+ MPG range in town. As for added performance a flash and change of Map sensors can yield added 50 HP performance with out even touching the engine. I myself would never own a summer cruise car that didn’t have a V8 but a daily driver 2 liter turbo 4 would be awesome. My wife’s 2011 Kia Optima SX Turbo with paddle shifters is a blast to drive and 0-60 times of 6.1 and the qtr in 14.5 rivals the muscle cars of the 60-70s. A Camaro daily driver with the turbo would be a good seller and priced accordingly. Great mileage, power and fun. That is what it is all about. My HHR SS is a daily beater that will do 160 MPH if you feel stupid. 13.8 when you can get the tires to hook up and 26 City and 32 Highway driving it hard. Also I can haul a load. I out ran some guy in a built up Vtec with about 200 pounds of tools and a Soap Box Derby car in the back. Since I sense the smaller RWD platform is dead the Camaro needs to open itself up to a wider audience. Also with it going global like the Mustang they need to address more needs not just the few. As I see it as long as there is a V8 then who has right to complain there is a Turbo 4? If you don’t want it then buy the V8 as they are not replacing it with the 4. The stronger you make the Camaro market the better chance it will continue to get better investment in other areas and will have a much more secure future. They did kill it once and could o it again if you limit the market and sales. I too have had a 5-speed HHR SS since 2008. That thing is one of the funest cars I’ve owned. The torque is amazing for a 4 cylinder. I did some tuning with HP Tuners and put an exhaust cutout on it. Its been a blast to own, plus I can haul anything in it and passengers have room in the backseat. My car previously was a 2002 Z28 heads/cam 475hp to the wheels. I’ve been wanting to get a new camaro but this just doesn’t look good to me. I can appreciate that while I would never buy a turbo 4 Camaro, options are great. However I have owned a 2008 Saturn Aura 3.6vvt (252hp, no DI on the lower level 3.6’s then) and have test driven a 2014 regal turbo fwd (259hp, 295tq) and can say that without a doubt, the 3.6 was snappier, livelier and much more fun to drive. There was a lot of delay with the 4. I have not driven a modified 2.0T, but stock for stock, I’d take the 323hp v6 over the 272hp turbo 4. Perhaps if they upgraded the turbo ecotec to 2.2-2.4 liters and a ever so slightly larger turbo to match, but until then…no thank you. I wouldn’t mind if they dropped the 3.6 for a 5.3 though. They have to cost about the same to make. Stupid??? It’s not the first time Ford has put a 2.3 in the mustang. Tell me how many Fox mustangs you see around compared to that gen Camaro. People said the ecoboost would never sell in the F150 either and guess what? The fact is Ford marketing team is top notch. I had two 2.3 mustangs loved the simplicity of them… Mind you the new one won’t be like that. My brother also had an iron duke camaro. Look that thing up! New Caramo is has a LONGER wheelbase! It uses new Alpha platform. Cadillac ATS is short wheelbase & CTS is long wheelbase version. ATS has no V8 option. CTS does have a V8. Caramo is CTS-sized Alpha platform! Well Ken lets not get too crazy here as the new Turbo engines are not simple nor as cheap as past engines. I agree that we should have them but lets be honest too. Hell mine has its own head, block and even sodium valves let alone the added turbo hardware. That adds to cost and complexity. What they Turbo 4 does is this. It give the line better MPG in all cases no just highway,. The Turbo 4 gives the car a whole different feel in a good way that some buyers today like. The Turbo 4 also will work much better in a new Camaro vs. the past due to less mass. Having driven an ATS and CTS Turbo the engine does very well and an addition of 30 more HP would put It right on the performance map. The Eco can do over 300 HP if GM choses to and can go 340 FT LBS or more with the RWD applications. GM’s attempt at the old Iron Duke was a mistake from the start. The engine had no power in the stock form and the car was too heavy for the power it was given. Finally the reality is sinking in that the Sub Alpha RWD platform we had hoped for appears to be dead. With the announcement of the Turbo going to the Camaro signaled that the new platform was not to be along with Cadillac speaking of doing a small FWD car again. So at this point I feel it is safe to assume it is dead. Tag that to the fact the Toyota and Subaru RWD along with the Hyundai also is not selling all that well. Now going to the future the V8 will be around but it will come at a great cost. Already the Camaro is well into the $40K and up range. GM has uses about all the tricks they can to get more MPG out of these engines. Lets face it you can’t drop any more cylinders. Look for less mass and smaller engine to get more attention as there is still more room to work there. The Turbo 4 will provide Camaro lovers with a car they can buy in the $30K range that is still going to be fun to drive. I have owned a 1968 Chevelle SS with a Tunnel Ram, GMC Sprint SP Big Block and many Small Block Chevys over the years. I also hated the Turbo 4 engines of the past. I just by chance drove an Ecotec Turbo and was amazed at the changes it brought The Eco Turbo has the ability to make the Camaro the GN like tuner car of this age. I hated the turbo engines but today I drive one daily and love it. I only wish it was in a light RWD car. I still love the V8 and if given the choice I would make it my first pick but for a daily driver and a more affordable car I would have no issue with a 3400-3500 pound Camaro with a 300 HP turbo engine. Scott I am aware that the newer engines are no where near as simple. Thought I stated that in my post. Just saying they sold even less powerful N/A 2.3 and they sold really well. They even use them for dirt track racing! That’s where my old one ended up. Too date the fastest car I’ve been in yet has been a 96 H22 turbo civic over 400hp 4 banger. My friend traded his 87 I roc plus 5500$ for it. The old 2.3 was used for many things but only with major modifications. While the base was there they still needed a lot of special work. John Lingenfelter was running his Pro Stock NHRA truck and was making up to 1500 HP on the stock head and block before he was breaking the head and had to have a racing one made. I sat in his transporter just gushing about the engine when it came out. He was a real engine geek and I really miss him. I was lucky to spend time with him on several occasions over the years. 400 Is nothing as Rhys Millen ran a Solstice an entire season with a Eco turbo in a Solstice. No breaks and no rebuilds and won the pro drift championship with 500 HP. They did change the crank, Rods, Pistons and Cams/Springs because of the high RPM he was running. GM sells many of these parts to build this engine though their performance parts division. They also have a very comprehensive book that give all the info you need to build various levels of performance. the Eco boost and Eco Tech engines are for the most part close to what race engines were 15 years ago. I drive with 23 PSI of boost daily with 290 HP and 315 Ft LBS limited only due to the transaxle. With a better drive line this could easily change. The only reason the Boost is limited today in most Eco engines is the Premium Recommended rating for fuel. If they went Premium Required they could easily be much higher. It is a case where marketing as limited this. GM is looking to add more performance Turbo Upgrade kits for some of these models in the future. I expect some major jumps in the future. VW is already looking at a Golf from the factory with 400 HP. Easy Scott not bashing GM here just sticking up for the 4 bangers everywhere. I wouldn’t say 400hp is nothing… Come on man that civic ran 10s on stock drive shafts! I try and give respect to all brands. My friends old Shelby Daytona was a blast a when we were 17. I respect old 4 bangers and cain’t wait for the new and improved ones. The old 2.3 wasn’t that crazy to mod BTW there’s a lot of guys running good times on junk yard parts from there old SVOs. A guy down the street had swapped out a 305 from his 36 Ford for an SVO motor with A/C. Time and HP has moved on. 500 HP has become the new 400 HP today. Di has changed the game on these engines and what you can do as the old fuel systems were the weak spot. In the next 5 years we will see a mass od 300-400 HP Turbo 4 engines from the factory. As for factory shafts sure you can do it for a while but they will break. If not you are not making enough torque. 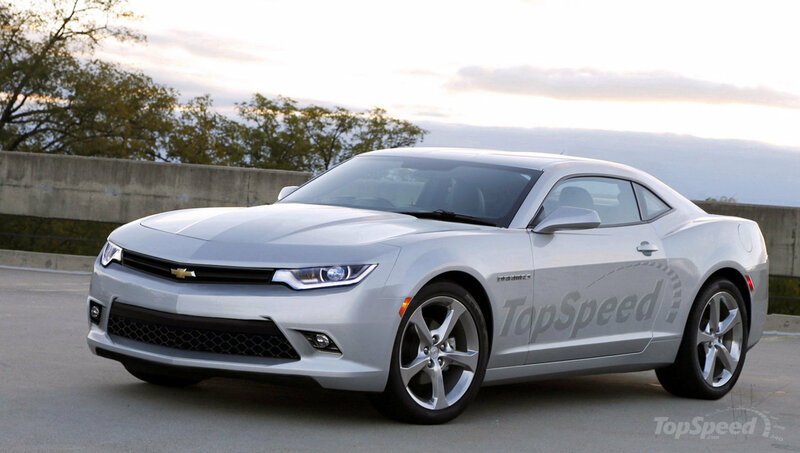 It looks like they got the front end right, but hopefully the actual 2016 Camaro has a different rear end design. I like the updated front but the beltline and rear are still too high – makes the car look heavy and ponderous. This is a problem on nearly all GM designs. I think GM styling dept needs a redesign. The only thing I’m not seeing that I was hoping for is more side glass area, oh well. Other than that it looks as if it will be mostly evolutionary(read the same)in its appearance. we’ll see what this new one is in real life. what she is, inside and out, and what features it has. Anyway, the current Ford Mustang is one of the most beautiful car on the market, and now also a pretty nice machine, at least in my opinion. new ford mustang has been highly successful, and I believe that this will be a very big hit globally. Ford is hard at this time worked together in Europe and it is also the official ford mustang europe list. MUSTANG is an entirely new sense of the word. GM has its own strategies to make money and certainly no time to be a completely new product. Now if this Camaro is selling well then great. Corvette is a super development, and it will make a new history globally. competitors have been literally Porsche, Ferarri, and so on. I would venture to guess that the new version of the Corvette eats many competitors do. CORVETTE is a new level. I believe. that will follow after the CAMARO must never take a serious step towards a new high as the current Corvette. The lines remind me of the Buick Riv concept. I wonder if concept vehicles can influence other brands? They very often can and do. I have seen so many different ideas get moved from one division to another. A most glaring one is the design of the 1990 Fiero GT that was canceled was transferred to the 4th Gen F body. John Schinella GM lead designer of both cars told us the night he first showed us the 1990 GT that the design was too good to waste and he had it converted to a larger front engine model. If you do a profile shot of the GT next to the Z/28 and TA you can see how much of the model was carried over in styling. There is a long history of things like this happening at GM. I have owned and raced the 69 Camaro since 69. A great machine to come home to from Asia. If the new 16 how sweet it would be a SS with those 69 lines. Ain’t ready to part with my Z51 yet. I sure hope Scott is right about revolutionary changes inside. The IP is easily the worst thing about muscle cars from way back when, and it should not be copied now. If this car is close to what the new one will look like, that is fine by me. The most important thing is to lose a lot of weight, which it really should given the Alpha platform. Also, better visibility would be great. I just want to see some nice options like Mag Ride on an SS (non 1LE), Bose Audio, A/C Seats, Selectable Driving Modes, Full TFT Display… All the rest the same I think I can deal with. I think it’s it’s okay except the back of the car. When they brought the Camaro back, & did the whole retro thing, they took all the good cues of the first gen Camaro’s except the tail lights. I wasn’t sure it was taken from the Vette or the 2nd gen Camaro’s. That has been the only thing that still bugs me. So finally on the 14′ body style they give us the rectangle tail light, & now it’s angled. What the hell. And from the looks of the rendering it’s getting worse. IMO I think Dodge is doing a better job with the Challenger. If I had had to get a brand new muscle car today, that what I would get.